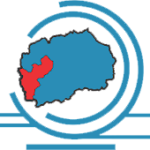 The Agency for Promotion and Support of Tourism of the Republic of Macedonia, together with JSP Tours, organizes the greatest info-tour with journalist teams from the region. 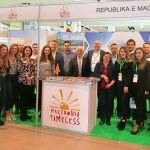 More than ten media from Croatia, Serbia, Montenegro and Bosnia and Herzegovina specializing in tourism will visit the most impressive tourist attractions in the Republic of Macedonia in the next four days. The City of Skopje with the Old Bazaar, the Old Railway Station, the Memorial House of Mother Teresa, the churches of St. Spas, St. Dimitrija, the square of Macedonia, the gastronomy and the Kale Fortress are only a small part of the locations for the first day. The second day is reserved for Panteleimon, the Matka Canyon with the Vrelo Cave, Mavrovo National Park, Jovan Bigorski, Debar Lake, the cities of Debar and Struga, where journalists will have the opportunity to see the natural beauty and get acquainted with the possibilities for rural, ecotourism and alternative forms of tourism which are abundant in this part of Macedonia. Wednesday is reserved for the most visited tourist destination in Macedonia, the City of Ohrid and the Ohrid riviera with a visit to its natural and cultural landmarks, gastronomy and mysticism that it owns as a UNESCO-protected city. 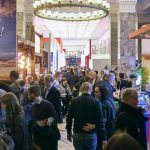 The last day will be reserved for the visit to the city of consules – Bitola and the wine region of Macedonia by visiting the wine route and tasting of several top varieties of Macedonian wines. 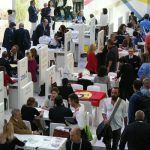 This type of organized info tours is a result of the participation of the Agency for Promotion and Support of Tourism of the Republic of Macedonia and the tourism sector in the regional tourism fairs, and enables the presentation of the Macedonian tourist potentials in more than fifteen regional media.